his follows on from the other two post titled ‘Fly Fishing blogs to be reckoned with‘. When we recently ran a series of reviews of fly, coarse and sea fishing blogs, we guessed that some of the best would slip throught the net. Over the past few weeks, several more blogs have been brought to our attention – and we’ve stumbled across some others. So here they are – more great fishing blogs! Kieron Jenkins, avid fly fisherman, photographer and fly tier. Kieron has represented Wales at Youth, International, Commonwealth and World level, and his success at world level (4th individual) proves his wealth of knowledge on tactics, flies and techniques is worth reading about! Blogging has become a big part of his life, posting about fishing days on both rivers and lakes which include talk on new fly patterns and techniques. Rajeff Sports fishing blog, North America’s Airflo Dealer. Rajeff Sports is a small, personal, company of fly-fisher folk residing in Vancouver, Washington. The culmination of Tim Rajeff’s huge personality and an outlet of both creativity and service to the industry. World distributor of Echo Fly Rods and Airflo Fly Lines to North America. 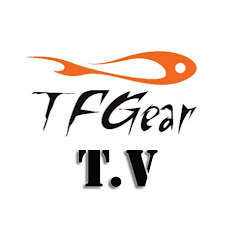 Their blog consists of their Pro Staff featuring test products expanding on amazing fishing trips and general talk about fly fishing tackle. Terry Bromwell, International River angler and Fly Tier. FishStalker , As he’s know to the internet world – is the perfect person to getting touch with when wanting to fish the trout bursting streams of South Wales. Wandering the banks of the River Taff, Rhondda and Clydach, Terry has produced some great fish for the camera. Regularly netting fish over two pounds in weight and a few bigger than 4! IS there a more envied fly fisherman?! Organised salmon, sea trout and trout fishing trips, for you! We specialise in organising fishing for salmon, sea trout and trout, for individuals and for small groups (both beginners and discerning anglers), on exclusive stretches of the River Tyne and private lakes, a beautiful scenic days fishing with brilliant company. Our services include: a full Ghillie Service, Corporate Fishing Days, Fishing Lessons and Casting Tuition. Wild Brown Trout Fishing at it’s best on untold water ways. Fly fishing for wild brownies is a form of Zen Buddhism, its been a lifelong passion which has never seemed to leave me. As I get older, when considering the three score years and ten of a mans allotted span, I’m driven more and more to give up on the fiscal necessities of life in order to do more fishing. What more do you want from a guy who runs a fishing blog like this? A fish-A-Holoic photographer with an eye for capturing everything. Addicted to every style of fishing be it Fly, Coarse, Carp or Sea Fishing, his fishing blog and angling images section are worth a look and are updated almost religiously. One of the best fishing blogs we’ve seen in a while! Editor of Total Fly Fisher and absolute fly fishing NUT! Keep up to date with Steve Cullen and all his fly fishing and fly tying exploits. He’s editor of Total FlyFisher, the sport’s newest and freshest fly fishing magazine. His position and passion for fly fishing means he’s at the forefront when it comes to new techniques, flies and venues. His job means he gets to go out fishing a lot more than is healthy, and often in a whole host of locations all over the UK and abroad. Paul is a full time guide who blogs about his free time which is spent on fishing. Endorsed by Orvis, Paul uses all their new fishing gear and produces some great tackle reviews both online and in various fishing magazines. Why not view his blog to find out more? Ex-international rivers manager and all round top angler. A fanatical fly fisherman who has been lucky to have fished with some great fishermen in many great places around the world. The North of England and Scottish Borders are very special places and have some beautiful and fantastic waters to fly fish. Stuart Says “I’m still learning the craft after more than 30years and I hope the flyfishing journey will never end”. A fly fishing guide based in Mid Wales blogging about his experiences. The Fly fishing Wales blog is the perfect place to learn about fishing tackle, flies and methods which are used throughout Wales and on many of the challenging rivers of the UK. Focusing his efforts of guiding and pleasure on the River Severn, Dee and Wye, Andrew has gained a wealth of knowledge from meeting other anglers and also putting his own techniques to practice. A well respected fly tier and angler from Czech Republic. Jindric Lacko runs one of the most visited blogs and its not hard to see why. Exploiting fly patterns, fishing techniques and talks from some of the best anglers around Europe the information he produces draws anglers from far and wide. Jindric is also an expert fly tier and angler and his wealth of knowledge cannot be looked over. The perfect blog for enthusiastic fly tiers and river anglers. A well known fishing Ghillie with years of experience on the Salmon. Jock is the Ghillie on the Kinermony beat of the River Spey situated just above the town of Aberlour in the heart of Speyside. Kinermony Fishings is privately owned, with around 1.5 miles of right bank fishing with 6 named pools fished by 3 rods. Below Kinermony lies the Aberlour Angling Association and the beat directly above is the majestic Delagyle, some of the most reknown water in Scotland. The absolute BEST fly fishing magazine, online! Catch Magazine are searching the world for the best fly fishing photography, film and video. We hope the layout, content and navigation to meet and exceed your expectations. While they may not have long articles on fly tying or casting, they will show, via dynamic and creative photography, the beautiful and exciting sport of fly fishing and expose the places, the people, the culture and the soul of this world wide activity. Todd’s known as The Official Journal of Fly Fishing Photography and Film. Moen began his career combining fly fishing and film at and early age. He then sharpened his skills by traveling the globe to film for ESPN, CBS and OLN. Now he focuses his talents on Catch, in its third successful season. Moen’s signature video style is his pursuit for the unique natural shots on the water, crafted with an original twist he’s learned via his passion for art and music. TV presenter, World Champion Fly Caster and Coach. Flyfishing is one of the most enjoyable ways to appreciate the countryside and escape the stresses and strains of everyday life. It can also be the most frustrating of pastimes with many people taking a long time to master the techniques needed to catch the elusive trout. Hywel’s blog is highly enjoyable with regular updates of where he’s been teaching, who he’s been teaching and what fish he’s been catching. Described as a semi-fish bum with a full time job! Scott describes himself as “Basically a semi fish bum, I say semi as I unfortunately still have to do other things than fish but I do manage to squeeze in a hell of a lot of fishing!” For me it’s a fly game, up till now trout has been my quarry but I am broadening horizons looking for Pike and other predatory species. Stay tuned for a lot more species on the fly! Top competitor at World, International and Commonwealth level. Seans blog offers the fly fishing community impressive fly fishing techniques and fly patterns. Fishing around the UK and Europe with some of the best river and lake fishermen Sean has gathered a wealth of knowledge in both disciplines. Well it’s always puzzled me that despite all the hobbies and pastimes I’ve had, engaged in them full of enthusiasm, the majority have fallen by the wayside. My passion for fishing however, as time’s gone on, has just gotten stronger and stronger! Weird or what? Alun hopes that his blog gives you an insight into his personality and his passion for fly fishing. Take a read, you won’t be disappointed with the content! International fly angler who loves all aspects of fly fishing. It has only been the last year or so Sion Lewis has started river angling, but boy, there’s no stopping him! Blogging from the South Wales area fish are not safe in any river, stream or lake! Being an accomplished pike angler, netting fish to over 30 pounds, Sion lets out the secret for pike and grayling in Wales. Also a neat fly tier he’s trying his hand at some salmon and sea trout flies. A Small Stream Addict! Can you think of a better way to spend the evening? Clambering over rocks, throwing your dry fly into likely looking spots only to be engulfed by a wild stream trout?! Heaven. Dan is the only angler I know who can get away with being in the stream every night when the weathers fine. Sharing effective fly patterns, Dan shows us how to catch many weary trouts. An Eclectic Angler looking for a fishy fix. Fishing all over the UK, Dan blogs about his weekly fishing outings – venturing from the freestone rivers of South Wales to the winding chalkstreams of Hampshire, he most enjoys slipping the net under hopefully large grayling and trout. Don’t we all? Blogging has taught him a lot, fishing with fellow bloggers learning new techniques and swapping flies. I couldn’t think of a better way to learn. Blogging from the Derbyshire countryside. Mick Martin is an accomplished angler, offering guiding services alongside his wealth of readily available fishing knowledge found on his fly fishing blog. Allan created this blog as a means to share his ever growing love of the outdoors in particular, his passion for angling. living just a stone throw away from the banks of the North Calder Water it was silly for him not to become a member of Airdrie & District Angling Club. Fishing Hillend Loch at least three times a week during the course of the season, many great fish are caught and blogged about. One of the best fly pattern blogs! Scottish fly angler and guide. Being a game angler all my life and a professional angler and guide since 1980 (31 years). I have guided anglers throughout the UK and Ireland, but primarily for wild trout in the Scottish mainland and islands, catching some fine specimens if I say so myself. Stans blog gives a great review of his fishing/guiding outings in the highlands of Scotland, take a look, you may even be tempted to book a day or two with Stan. A creative fly tier and enthusiastic angler. Keith Wallingtion is one of the most creative tiers i’ve come across. Incorporating his ideas into fish catching flies, Keith has created a range of flies which spook anglers but entice fish and fish. A river fishing blog from a normal, everyday angler. River Fly Fishing Diary is run by enthusiastic angler Alan Ward. At home fishing rivers or streams for trout and grayling, Alan puts his favourite fly patterns and newly aquired techniques to the test. Picking grayling of between the pockets of weed on the french leader, or targeting them with dry fly, Alan fishes and reports from some of the most beautiful rivers in the UK. Top youth angler and Captain of the Welsh fishing team. Lewis is one of the up and coming fly anglers in Wales. He has represented Wales at the highest level possible at International and World level. Fishing the rivers and lakes of south Wales he leaves his mark on many fish through the valleys and is feared by many who step into a boat with him. His competition spirit is high and he’s become a well respected angler. At the age of just 13.. I think we’ll be seeing a lot more of him in the future. Fishing journal, diary and reports. The Small Stream Brown Trout fishing blog is an accumulation of fishing reports, tackle reviews and fishy tails from the banks of the river. Run by angler, Richard Barrett, who describes the picturesque rivers and streams he’s lucky enough to fish which are full of wild brown trout, a fish which is hugely respected and hunted (released) all around the UK. A passionate countryman with a love for all things fishy and a real passion for the environment. Paul primarily loves to fish for Salmon and Sea Trout but also likes to do a bit of Sea fishing. But his love of salmon cannot be changed. All of adventures are shared with beautiful Black Lab Poppy. Follow Pauls blog to get the latest in salmon fishing flies, fishing techniques and tackle talk. Competition fly angler and river purist. Lindsey has built the IFlyFish site so that he can share with fellow anglers and fly tiers some of his most productive tips and experiences that he’s learnt, borrowed and stole from others whilst he’s been out on the water. Lindsey fishes for the extremely successful ‘soldier palmers’ and has a wealth of experience on the midland reservoirs as well as rivers. Twice England Rivers Eliminator Champion. Terry has already proved himself on the competition circuit, winning his first England eliminator and securing his place in the England Rivers fly fishing team. But more recently, he’s won it again! Also a frequent writer for Total Flyfisher magazine, his river angling and knowledge for both trout and grayling is of the highest calibre.. Take a look at Terries blog for his favourite fly patterns and methods. A personal blog other from the urbantrout.net site. TheoPike.com is Theo’s personal blog which has been running longer than his urabntrout. net site. It’s not so urban-fishing related, but there’ll still be plenty of gritty urban stuff which to any fly fisher who’s remotely interested in river restoration becomes an interesting past time. Theo loves the area he fishes and wishes more anglers take care of where they fish. Catching trout in dirty places. This blog is a firm favourite among our Fishtec Staff. Ramblings from the Wye and other Mid-Wales Rivers. Here you’ll find the ramblings of a man addicted to fly fishing. A happy man once ‘Finally Fishing’. Craig will tell you about his fishing experiences, mainly on the River Wye and River Irfon but throughout Wales when the opportunity presents itself. Now a keen fly dresser, im sure we’ll see more of Craigs tout and grayling creations once he’s put them to the test and the verdicts out from the Trout. A fisherman for about forty five years and a fly fisher for nearly forty years. Wild Brown Trout and Grayling are my quarry and keen angler of the rivers of the Eden Valley in Cumbria (Northern England) and the northern lakes (mainly Ullswater and Haweswater) at every opportunity. Lee Evan’s fishing obsession, written Down By the River. I decided to write a blog to document my fly fishing experiences, share useful information and (hopefully) make some people smile. As an addict, I compulsively pursue brown trout, salmon, sewin, grayling and occasionally saltwater species (mainly in Wales). I intend to diarise these fishing trips, but will also include some successful fly patterns..
A fortunate, well mannered angler who does catch the big ones! Mike Green is a very fortunate guy, you know. More or less a full time fisherman, retired from the optician business Mike spends most of his time on the water chasing pike with the fly or fishing somewhere warm. Fishing for almost anything that swims, Lucky Greens blog covers most aspects of fishing and is a heaven for the multi-disciplined angler. A Salmon fishing blog from Ireland. Keep up to date with any salmon fishing updates on Salmon Fishing Irelands blog. Featuring everything from videos tutorials, water heights and fishing clothing, Paul Hanleys fishing blog will keep your salmon fishing needs entertained when you can’t make it to the bank. Salmon are funny creatures, Paul seems to have them cracked to a tee and his blog is well worth following! An up and coming youth fly angler. Tom Bainbridges’ fly fishing blog, TB Fly Fishing, a recent start up blog, has already attracted a lot of interest. Tom’s recent success on qualifying for the Airflo Bank Masters Final means that he has the chance of competing for one of the UK’s most prestigious fishing titles. Im sure we’ll see alot more of this angler in the near future. Follow Toms fly fishing career here! Book your fishing anywhere in the world, from one place. Fish Pal offer five unique services for anglers to find and book fishing all over the world, check the latest catches on their regularly updated ‘catches section’ and see water levels with the added bonus of impartial advice for any angler looking to find the perfect fishing spot. The Fish Pal blog offers the angler the chance to catch up on whats happening at the FishPal HQ and offers you the opportunity to get a peek at new services to come. At the beginning of this year I decided to upgrade some of my fishing gear. First on the list was some kind of new shelter. For the last 6 years I’ve been using a JRC Stealth Brolly for most of my fishing. It has been a brilliant shelter and I’ve certainly no complaints with my brolly, when the time comes I fully intend to buy another but for now I’ve relegated my Stealth Brolly to day only sessions where I might need to move quickly. I wanted a replacement that gave me a bit more cover than a brolly but still maintained the option of moving quickly. I didn’t want to spend a stupid amount of money on a top of the range bivvy either, I found what I was looking for in the shape of the Trakker A-Lite Bivvy…. Take a look at the Angling Lines blog to find many interesting and useful hints and tips videos to see you through a tough days carp fishing. These videos show everything from how to choose the correct bait too which rig will help you catch more carp. The blog has a regular post count with mostly videos ‘how to guide’ showing great tutorials. Heres a great 33lb common carp caught by customer Gavin Mcmillan while on a trip to Bluebells notoriously difficult Kingfisher lake. The fish was landed using the ever popular Chod rig. There are plenty more fishy related stories throughout the blog, also some good reviews of new products. Keep up to date with this blog! This weekends session on Thorney Weir whilst a blank was interesting as it did prove a point in that you can fish bread in Arma Mesh and get it to last over night. Gone are the days that you would have to re cast every 30 mins if you had bread on the hook. Gone also is the notion that you can’t fish bread at distance. I put a 3oz lead well in excess of 100 yards and the meshed bread was perfectly fine. My latest booking saw Northern lad, Mark Carrick, turn up for ten day’s fishing at Sierra Brava. I enjoy taking single bookings, and as it turned out, Mark had booked a single person trip for very personal reasons that he told me once we arrived back at my base. Read on to see how the spectacular trip turned out! I, like many anglers, think a virgin landing net is unlucky (we’re a superstitious bunch). The first thing I did as soon as I reached the river was to dunk the net, and the next fish caught was going to be landed in it – even if it was a baby gudgeon! http://www.pffa.co.uk/PFFA Pike Fly Fishing Association is a club which is solely dedicated to fly fishing for pike. The cover a wide range of fisheries, searching for the biggest of pike to be targeted with fly. One of the most interesting features I’ve personally read is the features they do each year on LOM The Lake of Mentieth. Need some ideas from patterns to tie for pike? Take a look at the ever growing fly database PFFA have going. He’s from a thawing cave in Scotland – and we sincerely hope that this fishing and fly tying fanatic is back on the bank. Reading his blog it looks like the ice has been driving him crazy. But, looking on the bright side, he says: “Not being able to fish means I’ve got a chance to go though some of my flies and retire some of the catcher flies that are now a little past it.” Good use of time during a big freeze. Summer’s on its way! Bamboo rods…old time , old skool relics to some. For me it’s just another level of enjoyment to take esox on. I’ll be out this week trying to put ole Esox Niger on the wood. I will be tossin a 6-7wt 3 piece south bend rod. Top that with a old click and pawl and some feathered flies gramp’s would have tossed it’s on. Here is a pic from last years vintage venture…..Enjoy and tight Lines!!! In came the rig and I shaved the boilie down to its core. Back in position I waited, tense and expectant. There it was again, that little tester. I relayed the event to Neil who opined that it was suspicious because mine was the only bait object that was neither a whole boilie or a flake of crumb. I simply pulled a foot or two of line off the reel to give it some slack to play with. It worked. I got it in my head that I would like to fish 2 small Midlands rivers in one day. It seemed like an excellent idea at the time and was definitely more economical but the reality of such an exercise is pretty exhausting. Of course some would say the more economical thing to do would be to just fish local rivers but I do love the challenge of a venue that I am unfamiliar with. The 2 rivers in question are 2.5 hrs away from home but only a few miles apart; I wanted to catch first light at river A and then fish until late afternoon if necessary then catch the evening into darkness at river B. And now to offer a little encouragement to someone who has not posted for a little while but who should because we like reading his work. The Preston based blogger loves a fry up, as he puts it, “Just for a change on our way fishing we stopped off at a cafe and had a full English breakfast. What a good idea that was, as it was absolutely fabulous. Now that’s the way to start a days fishing if there ever was one.” We quite agree – and the 16lb 4 oz Pike wasn’t bad either! Fishing Pro Tips is set up to be a great resource for anglers starting or struggling to get to grips with things. This site give useful help, hints and tips to the anglers far and wide. Jamie G Allan says ‘Fishing Pro Tips is a blog offering advice about all aspects of course fishing in the UK. There will be advice on general course fishing, match fishing and specimen fishing. I also hope to create a detailed venue guide where you can contribute to share tips and advice’ Keep an eye out for the new posts and interesting tips! Richard says ‘I will be updating my blog when I have something to report like where I fished today and a report that will follow it. Review something I have brought recently, or a new rig I have used to good effect. I will be keeping you updated with my testing of new rigs (although I want to do some fishing first) I am working on to help you and I catch more Barbel, this will include all pics and diagrams for such things. This will give you the opportunity to test yourself and give negative or positive feedback it’s all welcome’ Considering the blog is fairly new, it’s had some good reviews and hits! Must be a good blog in the making, let us know what you think! This week the blog’s email address went into overdrive with numerous readers contacting me with regards all things to do with fishing and I would just like to take the opportunity to again thank all these people for taking the time and effort to email me, it really is great to hear from readers of the blog on their thoughts of the blog and any questions they have on the fishing I do. These nice emails about the blog and helping people with their questions are something I really enjoy and look forward too come a Sunday afternoon and thank you all again and as I said on all my emails let me know how you are getting on its always great to hear about other peoples fishing adventures!! I’ve always been an angler and after moving to West Yorkshire from South Wales I wanted to discover what the county had to offer in the way of rivers, lakes and ponds. When fishing in South Wales I often fished in club and winter league matches, however moving up north has presented me with new challenges, venues and angling clubs that I need to acquaint myself with. I started fishing aged 10 and soon got involved in fishing junior matches mostly on Ilminster Canal and the River Isle. Barney Crockett and Adrian Green took me under their wing and I started fishing further afield to places like the KSD and the Huntspill. I’ve fished every Sunday ever since and occasionally in the week too! I mainly fish club matches with the odd open. My preference is natural venues but I don’t mind having the odd bash on carp puddles either. Biggest UK fish – 28lb 4oz common carp caught at Chard Resi. Biggest fish – 260lb Arapaima caught at Gillhams Resort in Thailand. Biggest match weight – 121lb 4oz of carp and skimmers at Coking Farm. “If the going gets tough, the Grayling go deep” says blog author Gareth Lewis. Normally a small fly tying addict, Gareth favours Czech Nymphing during a cold snap. He points out that people are often surprised by the size of some of these flies. In point of fact those photographed on the blog post are tied on a size 8 Skalka Grub hook but then as Gareth says some of the Caddis larva in the water are over an inch long. For winter Grayling fishing, fly tying expert and fly fishing instructor Dave is in the pink this season. He recommends tungsten shrimp back as ballast to add a dash of colour to patterns. Fished upside down in coloured or very cold clear water, Dave has found these to be a winner on winter days. With details of how to tie some of his favorite patterns and razor sharp close up photography to show the fine detail, this is a top quality blog. “I’ve been at this for quite a while now and I don’t seem to be getting any better…..” Don’t let this Lancashire based fly fisherman fool you with his modesty. Matthew Eastman is quite obviously an accomplished waterman. And his prose is pretty good too; lyrical descriptions of Autumn mists combine well with photographs and discussion of his latest flies. “It was bound to happen – was it confidence? perseverance? sheer dogged determination? Nope – the fact that I had left my camera in the house meant I was bound to catch a fish”. The adventure of fishing in the urban heartland of Glasgow is related in a witty and engaging style by blogger, Alistair Stewart. Centering on the Kelvin, Glasgow’s second river, the blog began before Alistair could drive but now he’s got his wheels, his horizons have widened to include many marks within about an hour’s drive of the city. A fly that caught, no less than five fish in seven casts, “Bob’s Olive” was invented by blog author Bob Walker over ten years ago. It won awards at the time and is still going strong – so well worth checking out. For fly tiers out there, you’ll find a very interesting post with photos of live buzzers wriggling about in a makeshift aquarium. A great reference for creating the perfect fly! With loads of content detailing fishing adventures large and small, this blog is lively and entertaining – a good read. “When selecting a fly, I think of water clarity and colour and the quality of light in the sky. Accordingly I’ll select patterns which I think will show up particularly well underwater (or on top of it) in the conditions pertaining at the time: hot oranges and yellows in clear water; blacks and clarets in peat-stain; white and tinsel-based patterns in the estuary…” writes Chris McCully, a poet, writer and academic, originally from Yorkshire, now based in the Netherlands. His style is reflective and rich with detail, the photography is stunning and there’s a poem or two to light the imagination. She’s the Scarlet O’Hara or Laura Croft of the river. So say these three friends who’ve come together to create a one stop shop for all those whose passion is winter Grayling fishing. Truly a wealth of information can be found on these pages – and there’s even a forum you can join so that you can share tips and experiences with other like minded fly fishermen. It’s only December and already it’s been snowing heavily – those mellow summer evenings on the riverbank seem a long time ago now. Well not to worry because if you want to warm yourself up a bit, Mike’s blog has a wonderful description of evening fly fishing in the Scottish summer: “There’s a wonderful calm in fishing the dusk session at this time of year. The night descends, the air cools sharply, the water tugs ever so slightly heavier at your ankles”. Lovely stuff. “My heart skipped a beat when I saw the typical Grayling rise that I know only too well.” Glen has been honing his dry fly technique for the Grayling season and you can find out how he got on as he and his friend Wesser battle for Grayling glory in the rivers Dovedale, Wye and Severn. A lively account, full of incident – well worth a read. My mission…’to catch a trout from a river in every county’ – I learned to fly fish as a teen on the Usk, when as a pupil at Christ College in Brecon, I shared one of six tickets the school enjoyed on the town water. I remember that Jonathan Gout, already a fly fisher, was my encouragement, and my Father kitted me out with tackle purchased from a store adjacent to the town bridge. It is now a licensed café! Great Sinlge Malt Whiskey and angling in the Staffordshire Moorelands, Derbyshire, Islay and the highlands and Islands. I’ve been fishing since I was 7 years old when my Grandad used to take me fishing with a quill float for sticklebacks and small perch on the river Churnet in the heart of the Staffordshire Moorlands. “Ice cold in Powys”, the title of Phil’s latest blog post. He was out fly fishing in Mid wales at the weekend and reports that the temperature was 15 degrees below on arrival and never rose above minus nine all day. Phil says he’s a fly fishing nut and frankly, we’re inclined to agree! All the same he had a successful day and the photos of wintry Wales are stunning. Hats off to you Phil. If you’re new to tying flies for the Grayling season then look no further. Step four is to take your finished fly and throw it in the bin – step five, to start again using more lead. It is well worth looking up the blog post for the rest of the steps to your first effective Graying fly. And with a wide variety of fly fishing subject matter you’ll enjoy a good read too. “I should stop anthropomorphising plant life, it’s a slippery slope. I’ll be drawing hedgehogs with pinnies and toads driving motor cars soon unless I snap out of it.” writes the lyrical Malcolm in his blog. But we thought his description of autumn on the river bank was about spot on – and the photography is absolutely stunning. Well worth a look. “Whence come you?” “The Lakes and Reservoirs!” “Whither directing your course?” “The rivers and streams!” “What do you hope to find?” “The true secrets of dry fly fishing!” A light hearted start to the latest post on dry Fly Expert. And it’s a timely one too for anyone considering making the move from still water to river fly fishing. A series of posts is planned to help make the transition easier and questions are invited. what are you waiting for? “I suppose we should have invested in lessons but our self taught ‘lion tamer’ casting style has caught us a few stockies over the past 12 months.” The ‘Lion tamer’, took up fishing after a chance conversation with a bloke in the pub. The author’s enthusiasm is infectious and judging by the images of some of his paintings, he’s quite the artist too. A little London chalk stream near Sidcup has received some help recently courtesy of Thames21, a charity dedicated to restoring London’s 400 miles of waterways. Paul’s blog post provides a fascinating account of the work being done to make the stream viable for a self sustaining trout population. Thames21 is just one of many great organisations that Trout in the Town and the Wild Trout Trust are supporting (there are currently eight projects spread from Glasgow, through northern England, the midlands and Greater London). “The winter is well and truly with us now and to avoid freezing my nads off wading the stream I decided to get out the trotting rod and run a few maggots down on the centrepin.” We can’t say that we blame blog author Dave Cross – anyone who can motivate themselves to get out fishing in the cold weather deserves applause. And for the rest of us – Dave has been kind enough to recount his adventures. ‘I grew up in the mountainous western region of Swaziland, home to 12 little known and little fished stillwaters in the extensive pine plantations that blanket the region. The ‘dams’ are small and wild, pretty much left to nature in between infrequent stockings of rainbow trout. Looking back, I couldn’t have wished for a better place to have cut my fly fishing teeth’. Now, Justin calls West Midlands of England home – but within driving distance of some great trout a and grayling fishing. This blog always whets my fly fishing appetite each time I look at some of the surrounding beauty which we fish in. ‘A guy from Dads work came over one evening with a fly fishing rod and reel and showed me how to tie a blood knot, how to loop a leader over an over hand knot on the end of the line (we had finesse in those days you know- delicate presentation? pah!) and how to tie a fly on a 8 foot length of 6lb nylon mono. 20 minutes on the car parking area behind the house and I was casting like- well probably Indiana Jones with a bull whip judging by the cracking noises, but hey this was fun! And we haven’t even seen water or a fish yet!’ Now, this is how most people should get into fly fishing, you know fishing is going to be a big part of your life after spending just 20 minutes with a fishing rod!. I’m basically a fishing addict, and have been since an early age. Although I enjoy all fishing disciplines from time to time, i’m happiest with a fly rod in my hand. Whether it’s creeping through dense undergrowth to get to a tiny stream full of wild brown trout, throwing a 5/0 popper out for Pike, twitching a shrimp imitation infront of Mullet or stood on a rocky headland in the middle of knowhere belting out a fast sinker for Pollack. ‘The Limp Cobra’ is a presentation cast i assembled some years ago as one of several means to present the fly with a good amount of slack in the line and leader to hopefully counter the effects of the seemingly endless micro-currents and counter-currents so prevalent in small stream fishing. It is a pile cast that is performed with both a low back-cast and low front-cast, has two distinct loops, one horizontal and one vertical and it kinda looks like a cobra that rears its head, strikes, then collapses in a lazy heap… thus the name !